Shock collars for dogs are among the best options for pet owners who have unruly dogs. Shock collars have been the easiest solution if you want to keep your dog under control. They are devices that can be remotely controlled. Dogs receive mild electric shock if they exhibit negative behavior. These collars eliminate the need of the strong force and help your dog understand the difference between good or harmful and right or wrong. These shock collars are ideal for aged or female owners with a huge dog that is hard to control. Although some people say that the use of shock collars for dogs is not good for the pet, this is the only resort for you if your pet is unruly. It is a better idea if you purchase a shock collar with adjustable electrical level and audible tone as an alternative to electrical shock. Shock collars for dogs are available in a wide range of invisible fence transmitter perimeter. 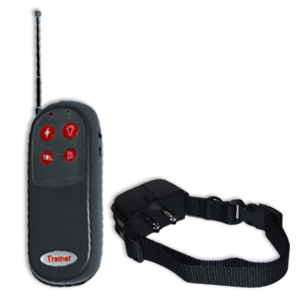 The range of transmitter perimeter of the shock collar that you can purchase will depend on your purpose. Before you place the collar in your dog, you need first to review the instructional manual. The guidelines for shock collars for dogs vary from manufacturers, so it’s highly important to read to manual thoroughly. Begin by charging the collar battery depending on the charging time specified on the manual. You can put the collar on your dog to make him accustomed to it, just make sure not to correlate the correcting behavior as your dog needs time to adjust. You need to ensure that your dog will not think that he only needs to behave when he wears the collar. Do not get the collar too tight on your dog’s neck as he may feel discomfort or experience difficulty breathing or eating. Remember that the purpose of using shock collars for dogs is for training and not for punishing. Make sure that your dog receives mild electrical shock when he misbehaves to the point that you cannot control him. A voice command should accompany just before the shock. In this manner, your dog will associate good behavior with your voice. If your dog made a mistake just say ‘No’ and apply the electrical simulations. Your dog may be confused at the start of the training, but you need to praise him for every good thing that he has done. Shock collars for dogs are not just for training, it also serves as a cost-effective solution in containing your dog in one area without the presence of physical barriers. Most invisible and underground dog fences use shock dog collars as the receiver of the electrical stimulation. This provides your dog the freedom to run, jump, and play all day long while contained in your garage. Also, this can be a cost-effective solution in keeping your dog safe and secure as the construction of physical fences requires a certain amount. Remember not to use shock collars for dogs in any purpose except for training and containment. This device is invented to help your pet learn the right or wrong, and good or bad and not for maltreatment. Copyright © 2019 Dog Portal.